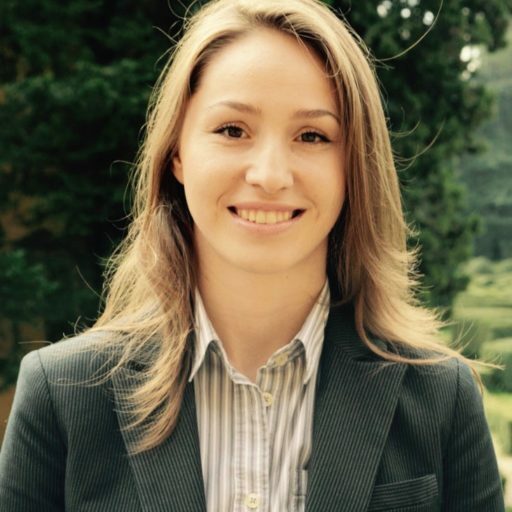 Viorica Viță is a PhD researcher in law at the European University Institute, Florence, Italy and EU Fulbright-Schuman grantee (2016-2017). For the last seven years, sovereign debt conditionality dominated the European public discourse. Courts called to adjudicate heavy conditions impeaching on constitutional core of EU nations. National parliaments vocally debating the democratic legitimacy of austerity measures. Executives busy implementing generous reform packages. Scholars actively commenting on the constitutional implications of crisis-driven conditionalities. However, in the shadow of sovereign debt conditionality, another silent conditionality machinery was mobilised at the EU level – the spending conditionality. Even if less vocal then the crisis-driven conditionality, the rise of spending conditionality is in no way of little importance. Under the current 2014-2020 budgetary period, massive packages of conditions have been vested on Member States through virtually all EU funding instruments implemented at national level, amounting to almost 80% of EU budget. Currently, virtually all EU money co-managed by Member States are bound by brand new and comprehensive sets of conditions: starting with the more generous EU budgetary envelopes of Cohesion (34%) and Agricultural Funds (42%) and ending with the rather modest allocations of Fisheries (about 1%) and Home Affairs Funds (below 1%). In this contribution I do not intend to exhaust the incredibly vast spending conditionality list of the 2014-2020 funding regulations. Rather the aim is to raise awareness on the proportion of a phenomenon which has largely passed unnoticed in practice and point to some of its main implications for the future of EU constitutional construct. What is spending conditionality and how is it different? At a risk of oversimplification, a spending conditionality implies that EU Member Sates and, in some instances, final beneficiaries must comply with a given conduct to access EU financial resources. When the prescribed conduct is not complied with, EU funding may be withdrawn. The specificity of spending conditionality, as opposed to other numerous conditions of spending, is that the first goes beyond the strict object of investment, coercing mainly Member States to observe broader EU law, policy or institutional prescriptions. As such, spending conditionality allows the EU to check before or after the disbursement of funds whether another EU rule, policy recommendation or even EU desiderate is fully complied with at the national level. For instance, under the current European Structural and Investment Funds rules, funding may be released only where a vast set of ex ante conditionalities concerning sound regulatory, policy or institutional requirements are complied with before the start of operations. Ex post, Member States are bound by a set of macroeconomic conditionalities asking for continuous observance of European economic governance agenda. Agricultural Funds are bound by ex ante and ex post conditions seeking to enforce mainly EU environmental protection and animal welfare laws and standards. Fisheries Funds' impressive conditionality package has as a dedicated scope to address the failures of Common Fisheries Policy. Home Affairs Funds are conditional on observance of Schengen acquis and EU human rights status-quo. Finally, all funding regulations allow for financial corrections for breach of applicable EU or national law. What is new about spending conditionality? Make no mistake, attaching strings to EU money is not completely new for EU internal context. In this sense, one could mention the notorious macroeconomic conditionality introduced in the 1994 Cohesion Fund and controversially enforced for the first time against Hungary in 2011. What is new is the unprecedented rise of spending conditionality arrangements in EU spending. In the aftermath of 2013 EU budgetary reform, the priory localised and incidental use of spending conditionality becomes generalised and systemic. Conditionality has prosperously multiplied and extended throughout the EU budgetary spectrum. As a result, in the current financial framework virtually all EU shared management funds envelopes are conditional, hence more than three fourths of EU budget. The tool has been also qualitatively updated. Spending conditionality has evolved to multiple types and is bound by specific rules of applicability and enforcement. Moreover, the thematic scope of spending conditionality has also extended dramatically. Depending on the area of EU financial intervention, conditions ask inter alia for full compliance with EU equality law, observance of European social agenda, transposal of public procurement directives, establishment of national strategic frameworks and policy lines in the area of education, healthcare, transportation and broadband connection, institutional or administrative reforms and capacity building actions – and the list is by no means exhaustive. Moreover, conditionality criteria go into very specific detail on the behaviour to be adopted at the national level and the specific obligations to be fulfilled. Last but not least, spending conditionality has known a rise in its functional use, being ingeniously designed to address EU law, policy or structural institutional weaknesses cross-cutting a vast amount of policy areas. In the outcome, spending conditionality emerges as a reinforced and self-standing governance tool used by EU to attain specific governance goals through disbursement of financial resources. Most importantly, however, the rise marks a transition moment towards a permanent internal and post-accession conditionality culture through spending, which contrary to the well known financial assistance conditionality is not dictated by a temporary economic emergency rationale but transcends to normal EU governance situations. EU Governance by Spending Conditionality? Having regards to the above, some may ask why should we be concerned about it? After all, conditioning budgets is as old as budgets themselves. Moreover, in the particular case of EU, there is not much dissensus about the fact that EU budget may and should support in as much as possible the EU governance agenda. Using conditionality could usefully add to the effectiveness of the EU legal and political order. As stressed by Andersen, the possibility of funding decommitment adds important political pressure on Member States if compared to ordinary infringement fines. An infringement fine eventually imposed on a Member State is hardly as sensitive politically as suspension of EU funds which affects directly large infrastructure expenditure, environmental actions, private beneficiaries of EU social, agricultural or fisheries aid. The power of conditionality is even more significant in net beneficiary Member States (such as Poland or Romania), where EU funds constitute an important share of the national capital expenditure. Whilst acknowledging the power of spending conditionality, the significantly increased use of the tool should not be left completely free form scrutiny. The systemic use of spending conditionality may be as powerful as direct regulation and foster compliance similar to existing EU law and policy enforcement procedures. The challenge here is to determine the implications of using conditionality as an alternative or even substitute for general treaty procedures. In this sense, one should mention that, contrary to EU legislative and enforcement procedures, there is no explicit treaty mandate to condition spending. According to Article 317 TFEU, the Commission implements the budget under her sole responsibility in close cooperation with Member States, in line with the principle of sound financial management and the subsequent financial and funding regulations. It is exactly in these funding regulations where spending conditionalities shape internally. These shape as pre-conditions for the efficiency and effectiveness of EU spending action, hence as essential pre-requisites of EU funding. Yet, in practice, even if conditionality is presented as a by-product of spending, it may well pursue a self-standing regulatory agenda. The EU Court of Justice has previously endorsed the practice of spending conditionality as long as a sufficiently direct link can be identified between the condition and the funded measure. The view of CJEU is consistent with the US Supreme Court’s case law on conditional spending doctrine and the germaneness criterion of conditions attached to US federal funds disbursed at state level. In this context one may ask: when is the link between funding and conditionality-required conduct too loose as to call into question the legitimacy – if not the legality – of a spending conditionality? Let us bring an example. The new 2014-2020 European Structural and Investment Funds' macroeconomic conditionality was backed by the argument that macroeconomic stability is presumed to be the core pre-requisite for any successful financial intervention. Yet, the sufficient direct link between macroeconomic stability and Cohesion policy spending is not completely free from indirect regulatory suspicion. Departing from this rationale, couldn’t one also claim that the rule of law, judicial independence or any EU value enshrined under Article 2 TEU are also pre-conditions presumed to have a beneficial impact on the effectiveness and efficiency of EU spending at national level? Would the sufficiently direct link test be stronger in a macroeconomic case as opposed to a rule of law logic? By invoking this borderline cases, I do not try to imply that the use of spending conditionality always calls into question the EU constitutional mandate. In many cases, spending conditionality is well justified and enjoys high legitimacy. What I do question, however, is the sustainability of a generalized use of conditionalities as managerial 'workarounds' to address deep EU policy failures. Here, the main question to be asked is to which extent we want to encourage the propagation of the governance by conditionality phenomenon in EU internal procedures? Currently, EU undergoes a process of deep transformation. Now (in the aftermath of June 23, 2016), maybe more than ever, the transformation pressure is sensitively increased. Spending conditionality is only one of the many features of the EU transformative venture which has attracted way too little attention in practice. The tool is at its very incipient stages and it may ultimately shape in various ways. For now, however, the use of the tool requires careful case-by-case consideration, in the quest for a balance between EU effective government and the government by conditionality. In case of Agricultural and Fisheries Funds, some spending conditionalities are also addressed to private beneficiaries who are sanctioned or excluded form aid in case of infringement of EU environmental or common fisheries policy rules. At the same time, the enforcement of these conditionalities is decentralised at the national level, under the responsibility of national authorities, monitored by the Commission. See, Regulation (EU) No 1307/2013, Arts. 43-47; Regulation (EU) 1306/2013, Art. 93, Annex II; Regulation (EU) 1305/2013, OJ L 347, 21 Dec. 2013, note 2, supra. Annual report of the Court of Auditors on the implementation of the budget concerning the financial year 2014, section 1.1.-1.3.. See for analogy with UK example: T. Daintith, 'The Executive Power Today: Bargaining and Economic Control', in: The Changing Constitution (Jefferey and Dawn eds. ), pp. 193-218. S. Andersen, The Enforcement of EU Law, pp. 181-186. See, for a comprehensive overview, A. Rosenthal, ‘Conditional Federal Spending and the Constitution’. M. Tomova et al., ‘EU Governance and EU Funds – testing the effectiveness of EU funds in a sound macroeconomic framework’, European Commission Economic Papers series, No 510 of December 2013, pp. 31-35. See, S. Verhelst, ‘Cohesion Policy and Sound Economic Governance’, 3 The Polish Quarterly of International Affairs (2014) 113-126. SUGGESTED CITATION Vita, Viorica: In the shadow of sovereign debt conditionality: the rise of spending conditionality in the EU, VerfBlog, 2016/6/30, https://verfassungsblog.de/in-the-shadow-of-sovereign-debt-conditionality-the-rise-of-spending-conditionality-in-the-eu/, DOI: http://dx.doi.org/10.17176/20160701-094229. Esti Bravo. Nasc si la Moldova oameni.